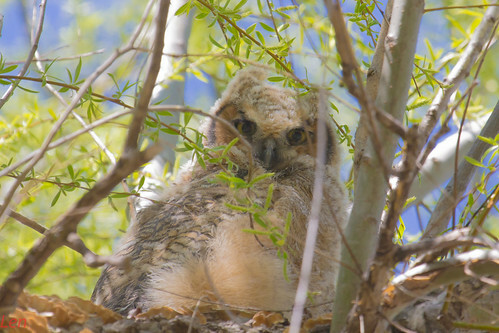 I think it might be a young Great Horned Owl. Vey nice shot. Short-eared Owls nest on the ground, not in trees. Location: Live on a sailboat in Slidell, La. I too think it is a juvenille Greah Horned Owl. Beautiful shot of what looks like a young one! Great job capturing him.